Aeroflot Russian Airlines (Moscow) has transferred its controlling 52.156 percent of the shares of Vladivostok Air (Vladivostok Avia) (Vladivostok) (a member of the Aeroflot Group of companies) to SAT Airlines (Sakhalin Airlines) (Sakhalin) (a 100 percent subsidiary of Aeroflot). This move was made following the decision of Aeroflot’s Board of Directors concerning the creation of Far Eastern Airline (DVA) within the Aeroflot Group. 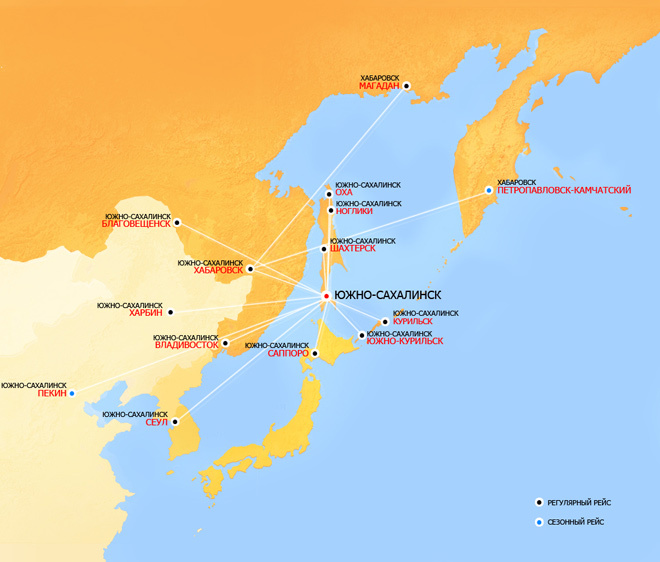 Aeroflot continues, “the creation of Far Eastern Airline (DVA) will contribute significantly to the social-economic development of this vast region with a powerful economic potential and will let Aeroflot Group become one of the leading air carriers in Asia-Pacific. Vladivostok Air is the largest air carrier in Russia’s Far East, carrying about 1,100,000 passengers annually on its own fleet of planes. The airline flies to 24 domestic and 13 international destinations. Copyright Photo: Vladivostok Air. V/A’s flight attendants. Aeroflot recently celebrated its 90th anniversary of its creation as a state airline. Aeroflot is one of the world’s oldest airlines, founded on March 17, 1923 as Dobrolet. Operations commenced on July 15, 1923 from Moscow to Nizhniy Novgorod. The company adopted its current name Aeroflot on March 25, 1932. Top Copyright Photo: Andi Hiltl. 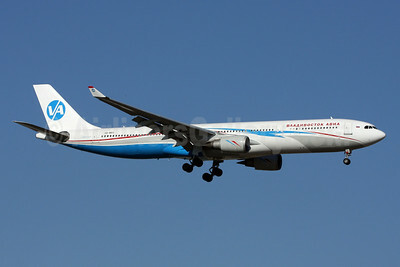 Vladivostok Air’ Airbus A330-301 VQ-BEU (msn 055) arrives at Antalya. Bottom Copyright Photo: Michael B. Ing. 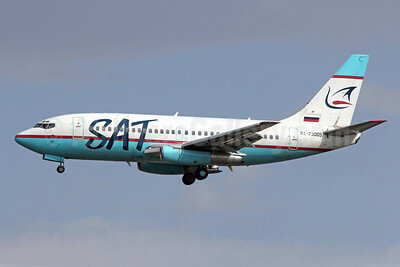 SAT Airlines’ (Sakhalin Airlines) Boeing 737-232 RA-73005 (msn 23100) completes its final approach at Beijing. This entry was posted in Aeroflot Russian Airlines, SAT Airlines, Vladivostok Air and tagged 055, 23100, 737, 737200, 737232, A330, A330300, A330301, Aeroflot Russian Airlines, aeroflot russian airlines moscow, Airbus, Airbus A330, Airbus A330300, Antalya, aviation, AYT, Beijing, Boeing, Boeing 737, Boeing 737200, PEK, RA73005, Sakhalin Airlines, SAT Airlines, transportation, Vladivostok Air, Vladivostok Avia, VQBEU on March 31, 2013 by Bruce Drum.